﻿ Wexner Center for the Arts - Ohio. Find It Here. The Wexner Center for the Arts is an internationally renowned contemporary arts center at The Ohio State University presenting work in the visual arts, performing arts, and film by artists from around the globe. 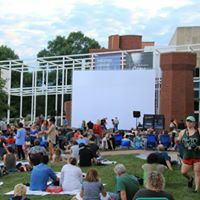 Wexner Center events are held in a variety of venues within the Center and around campus, including the Wexner Center Film/Video Theater, the Wexner Center Performance Space, Mershon Auditorium, Weigel Hall Auditorium, and Thurber Theatre. The Center also houses a Store and cafe, open weekdays. There are various membership levels available. Tickets to performing arts events are available at the Wexner Center Ticket Office or through Ticketmaster. Please visit our website for gallery admission.